After writing about a Bentley Mulsanne L first the first time when reader Rick from California send in photos of his Bentley Mulsanne L another reader Andy sent in a great advertisement for another. The ad was placed about a decade ago. 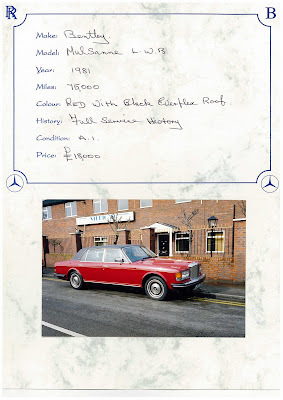 One of only the 4 Bentley Mulsanne L cars made in 1981. Send them in if you want your Bentley Mulsanne L posted!